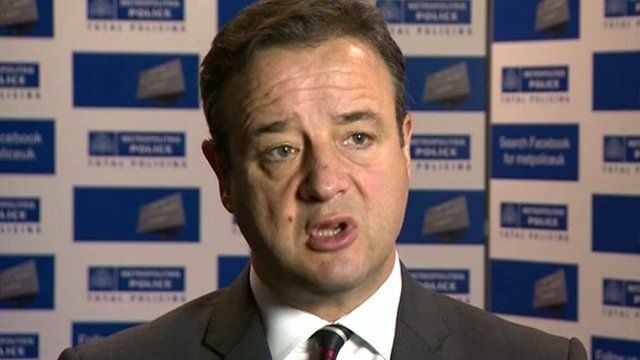 Madeleine timeline 'has changed' Jump to media player Detective Chief Inspector Andy Redwood from the Metropolitan Police says the timeline and "accepted version of events" surrounding Madeleine McCann's disappearance on 3 May 2007, have significantly changed. 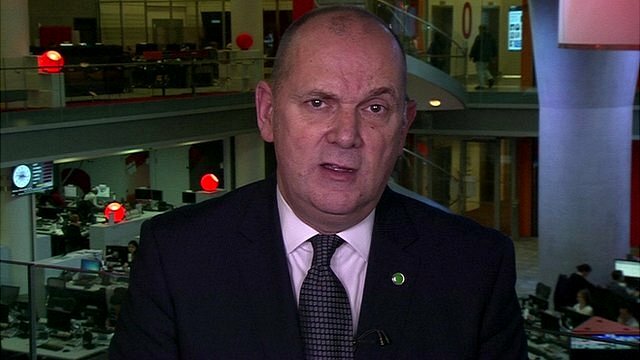 McCann case: 'Context is key' Jump to media player The former CEOP Chief Executive, Jim Gamble, has told the BBC that "context is key" in the McCann case and how it is a very different type of case to other missing children reports. 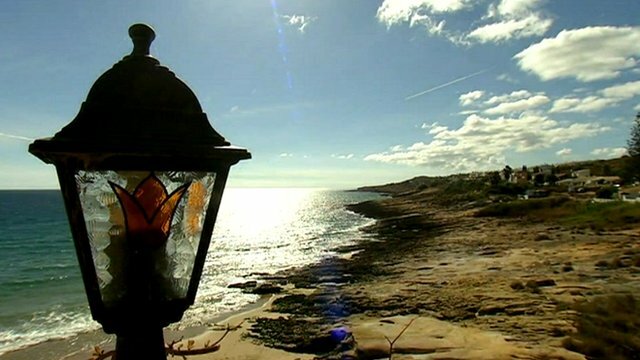 Praia da Luz reacts to McCann latest Jump to media player Tom Burridge reports on how residents and tourists in Praia da Luz have reacted to the latest news that Metropolitan Police have made progress in the case of missing Madeleine McCann. 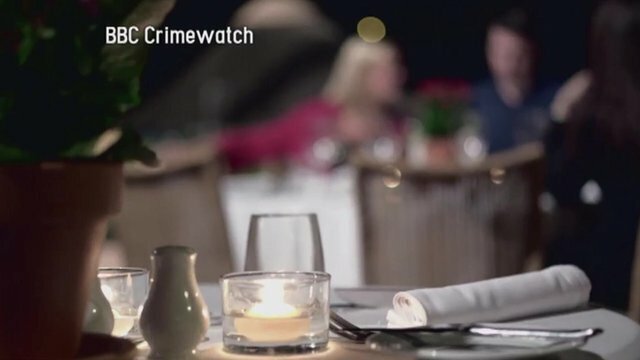 McCann meal part of reconstruction Jump to media player Madeleine McCann's mother, Kate, says she and her husband are not to blame for their daughter's disappearance. 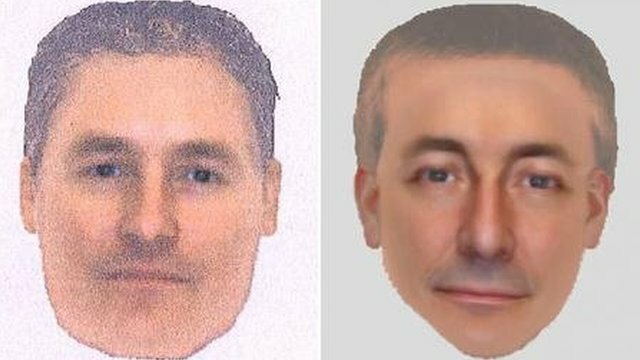 Madeleine police appeal over e-fits Jump to media player British police investigating the disappearance of Madeleine McCann have released e-fit images of a man they want to speak to about the case. 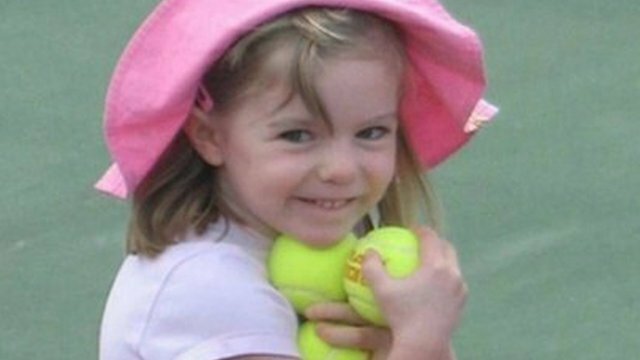 Madeleine timeline 'has changed' Jump to media player The timeline and accepted version of events surrounding Madeleine McCann's disappearance have "significantly changed", British police say. 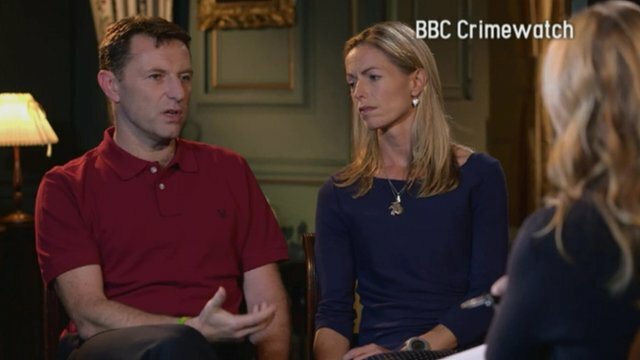 McCanns make Crimewatch appeal Jump to media player Kate and Gerry McCann have spoken of their continued struggle to deal with the absence of their daughter, Madeleine, who disappeared from a Portuguese holiday apartment in May 2007. British police investigating the disappearance of Madeleine McCann have released two e-fit images of one man they want to trace in connection with Madeleine's disappearance. Det Ch Insp Andy Redwood of the Metropolitan Police said he could be the man who took Madeleine, but there could be an innocent explanation. As a result, according to the police, the timeline and "accepted version of events" surrounding Madeleine's disappearance have significantly changed. Det Ch Insp Redwood said he was now attaching more weight to the sighting of the man, who was seen carrying a small child at 10pm. This is later than the time it was previously believed Madeleine was taken.